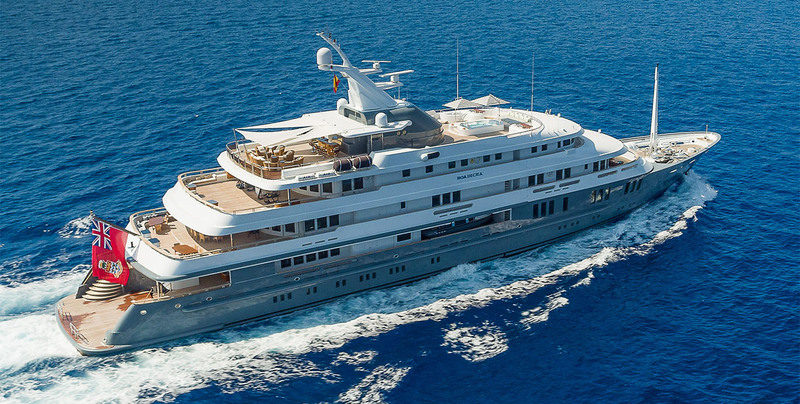 Motor yacht BOADICEA is a 76m (249' 4") Amels superyacht which was launched in 1999 and has since been beautifully refitted in 2010 and 2016. 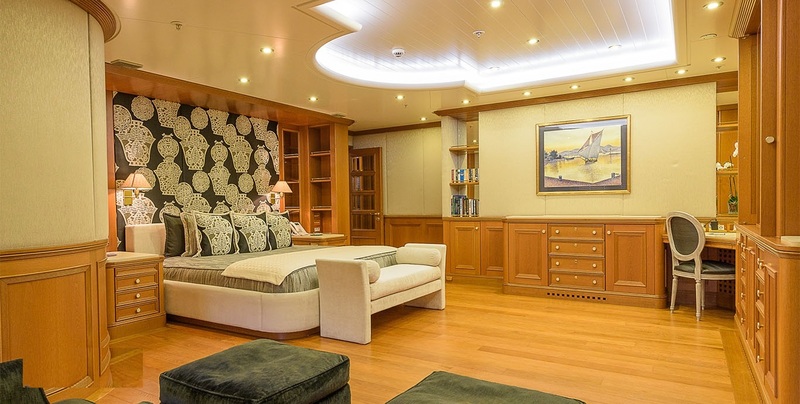 She can accommodate up to 14 guests in 7 well appointed cabins. 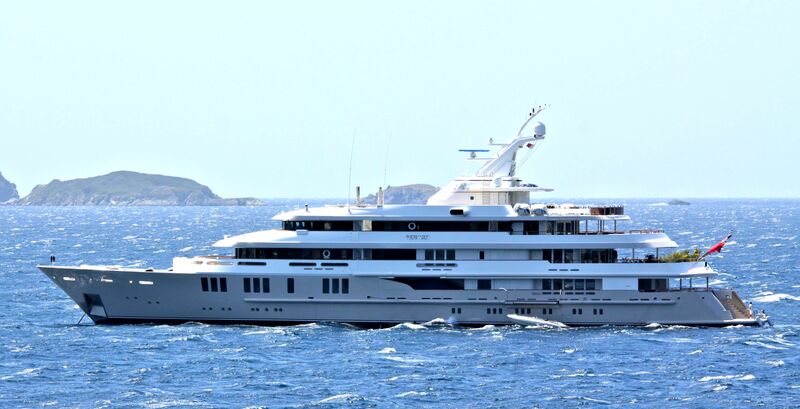 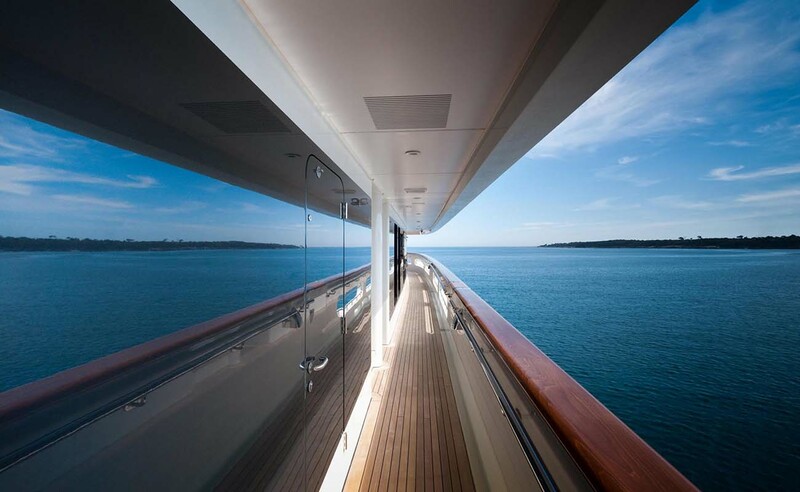 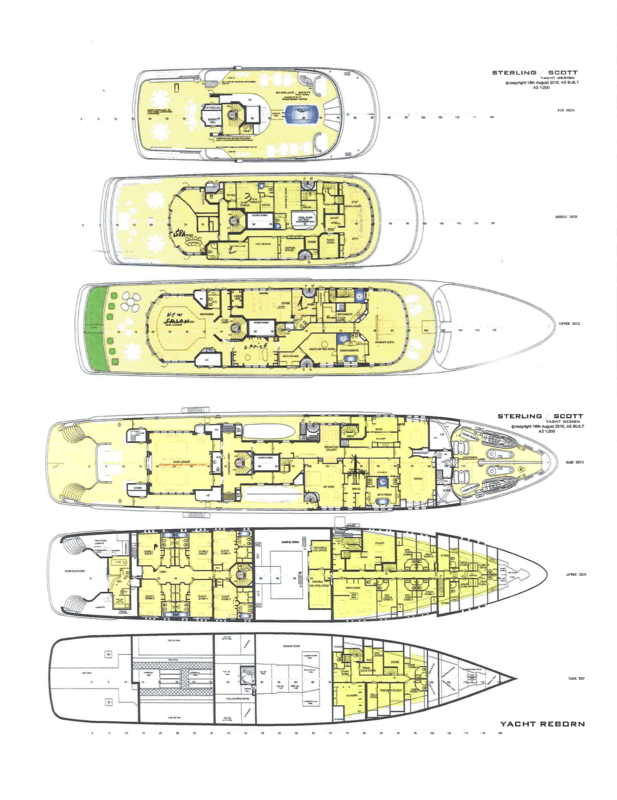 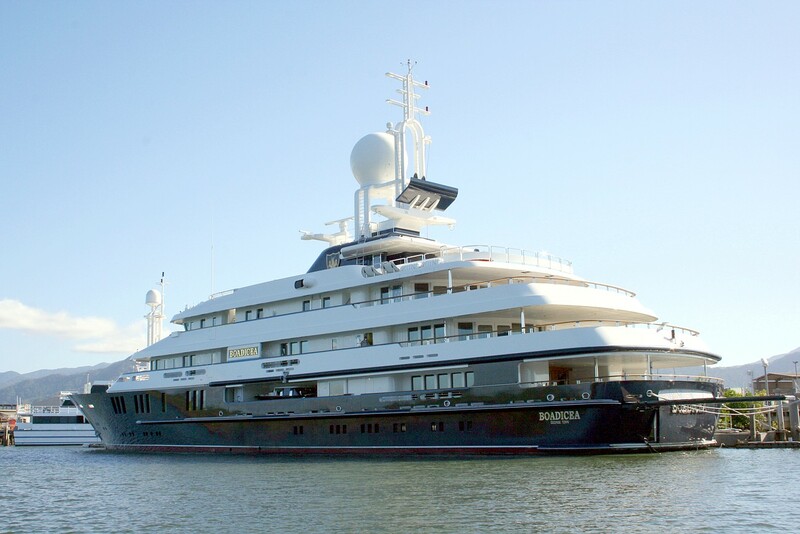 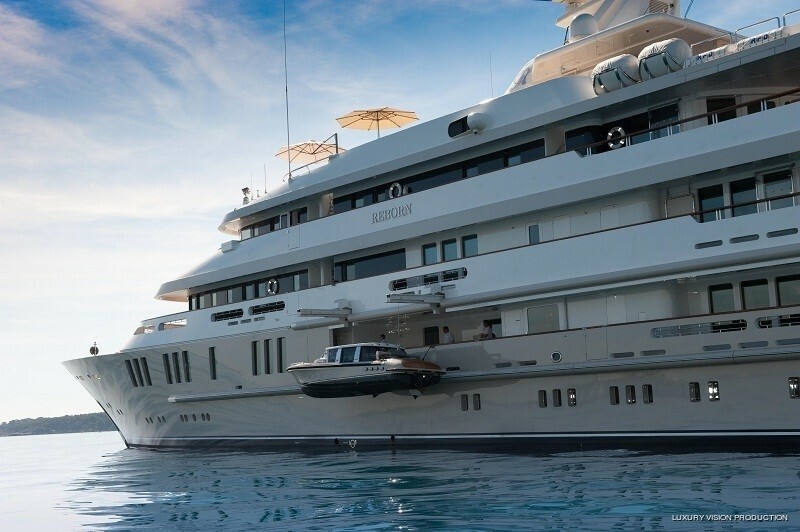 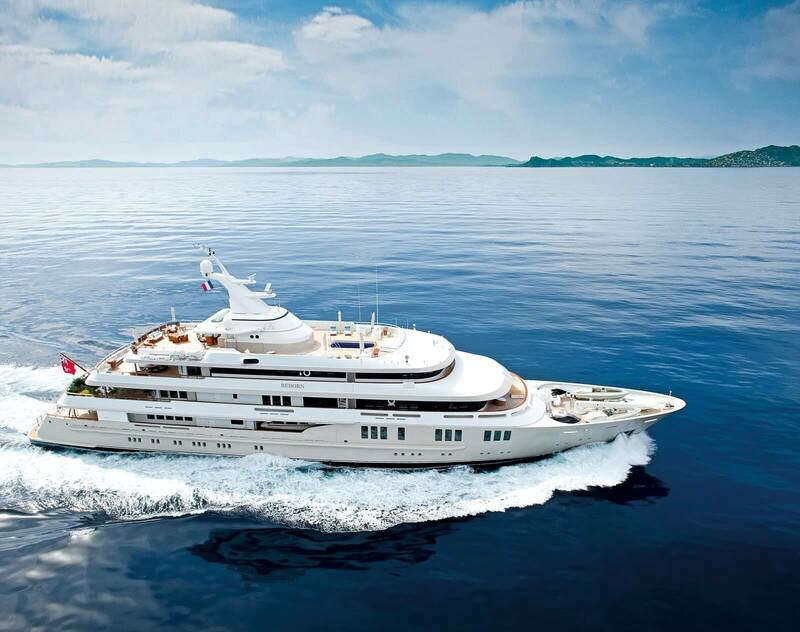 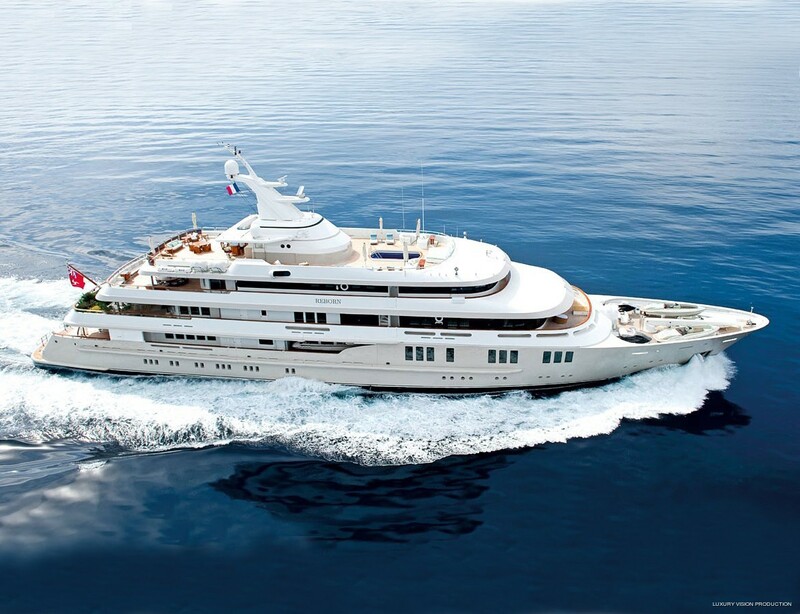 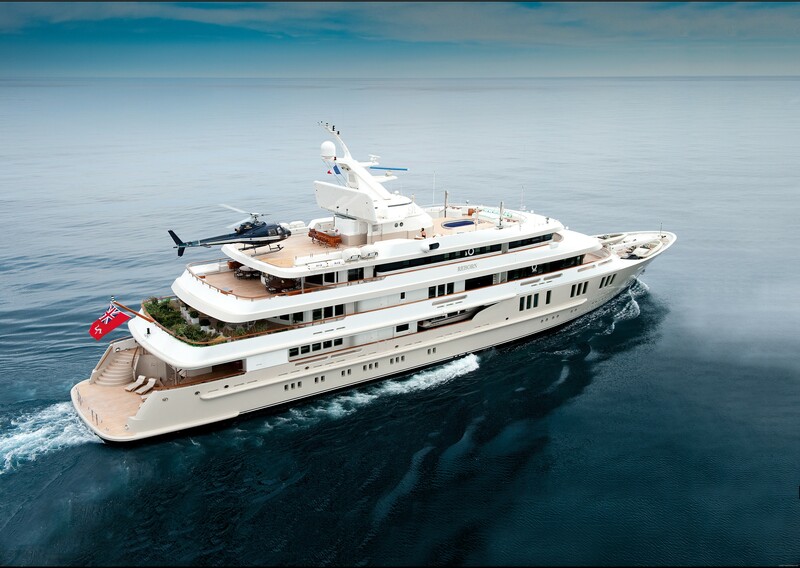 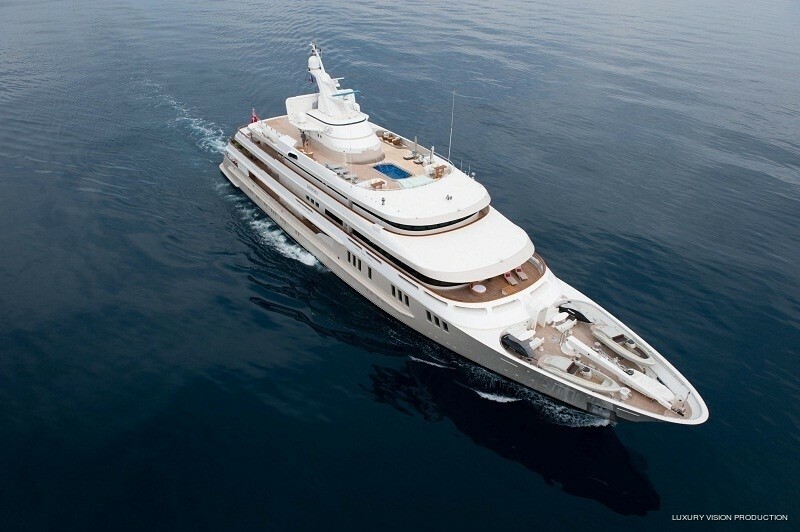 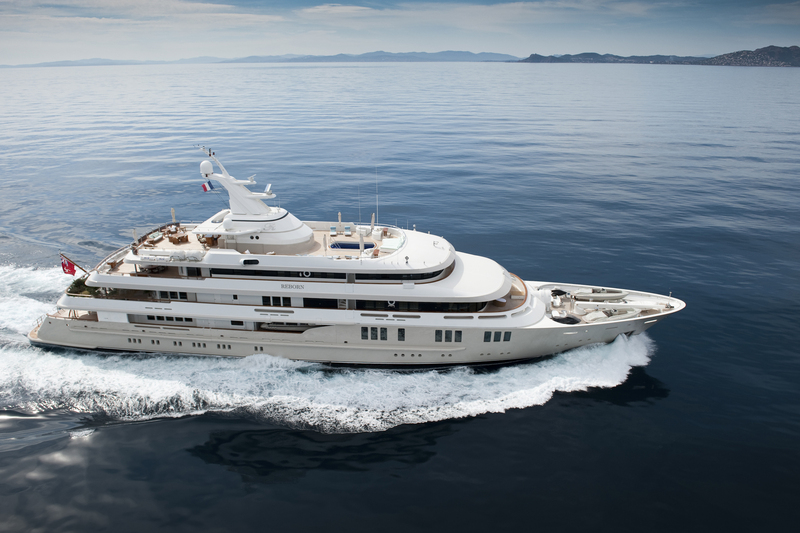 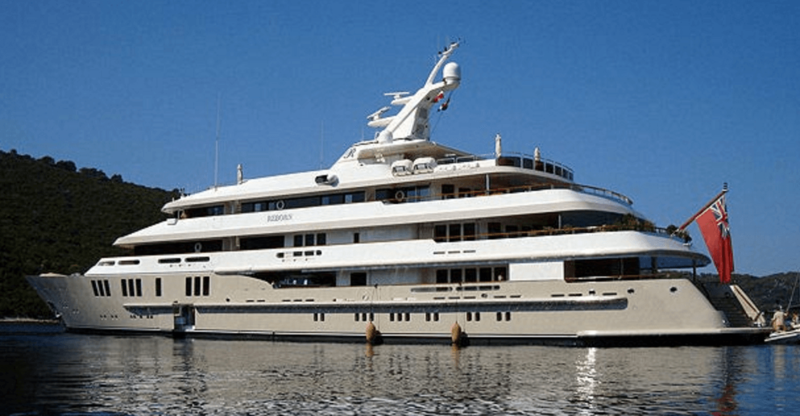 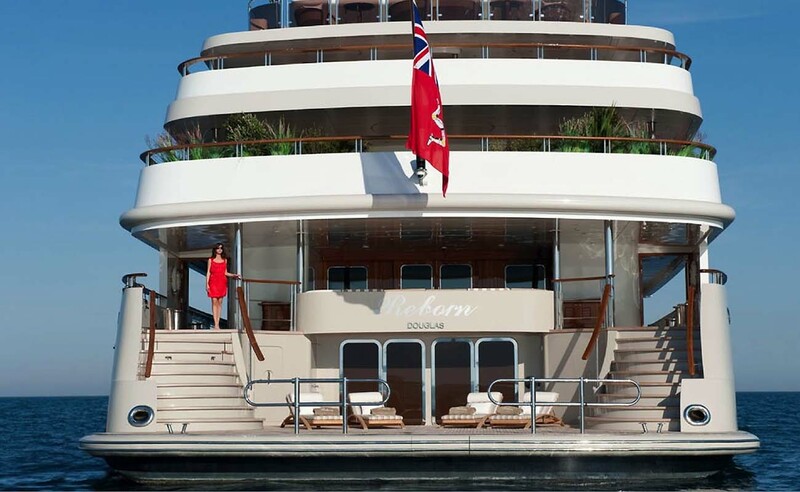 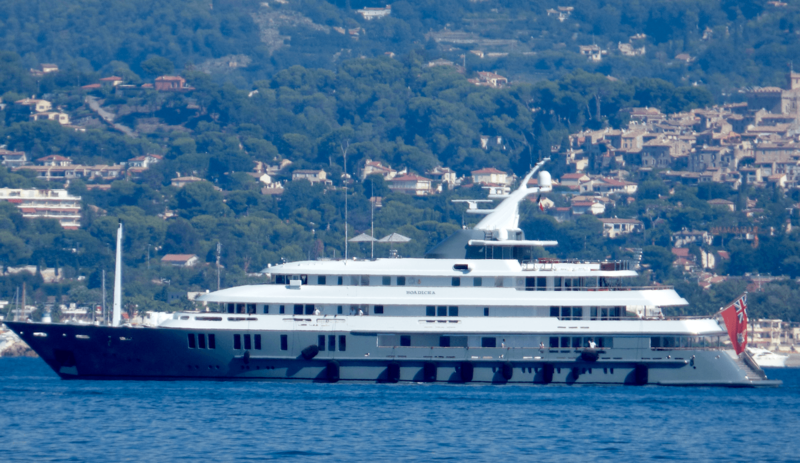 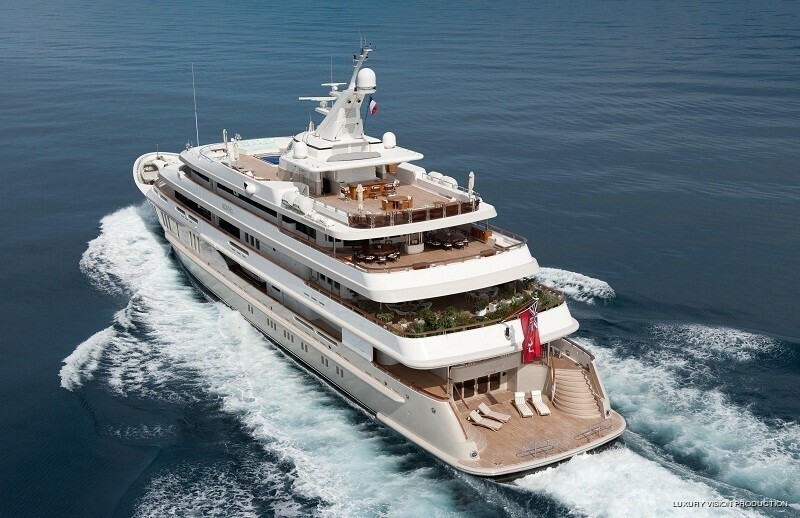 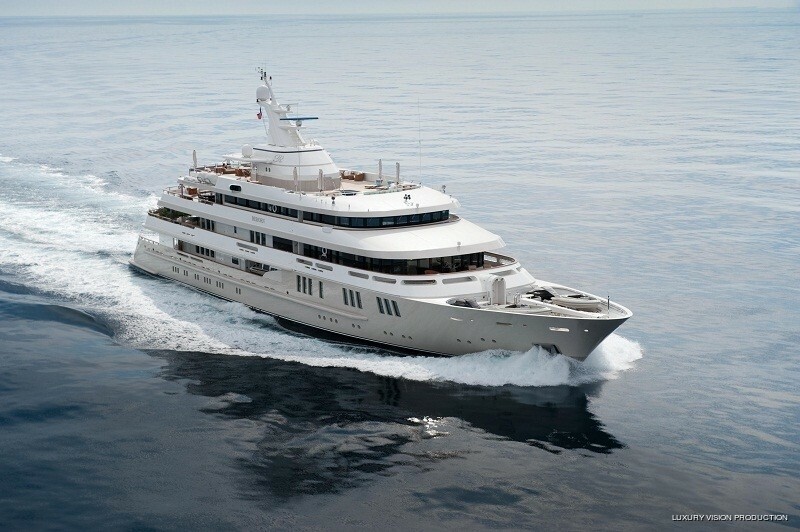 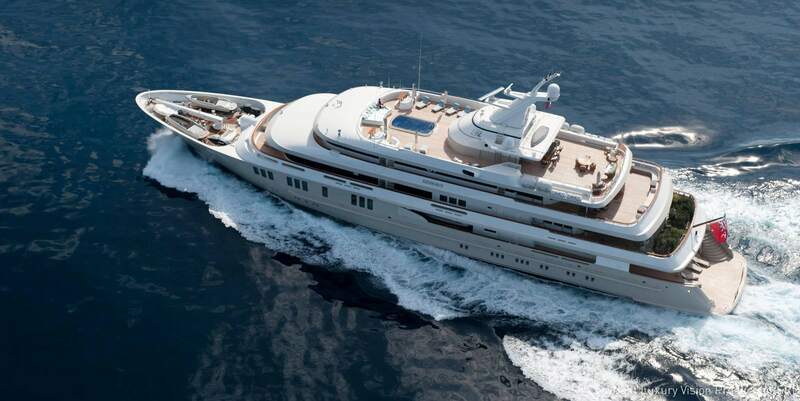 BOADICEA offers a very large amount of space with here huge 76 metres length and her 14 metre beam width. 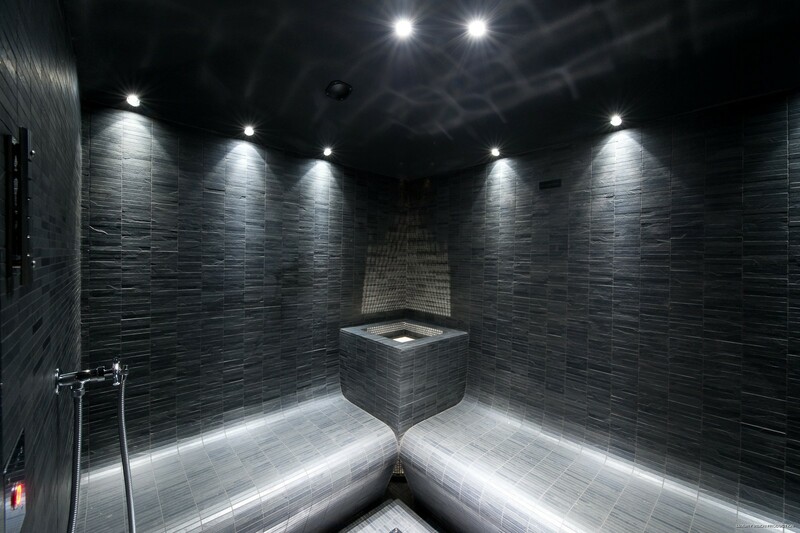 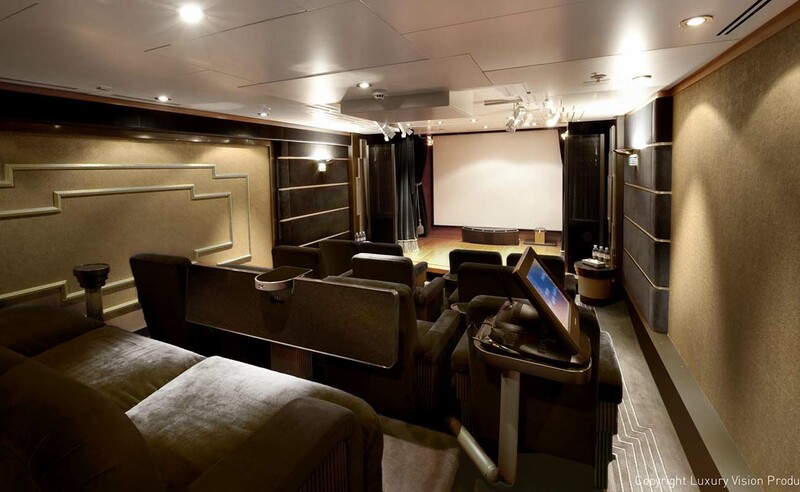 There are many completely different areas to be enjoyed and to entertain in. 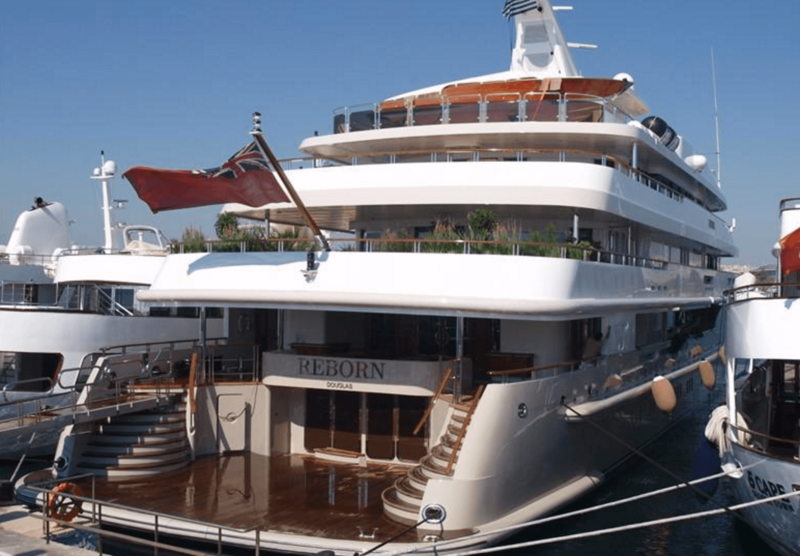 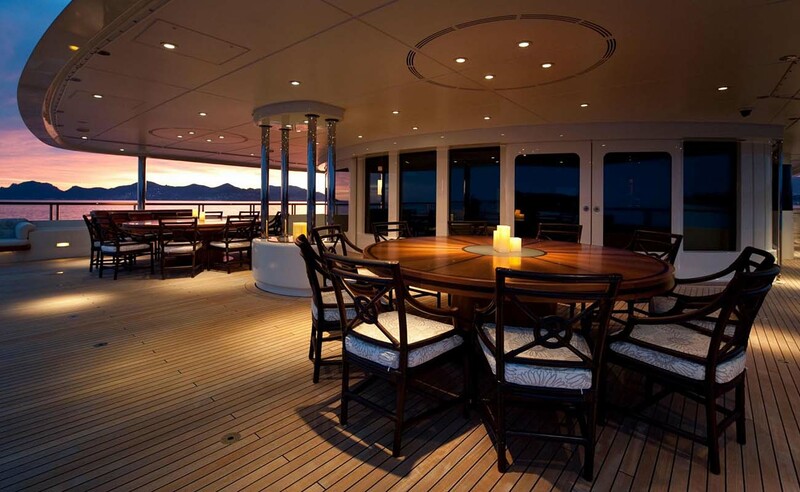 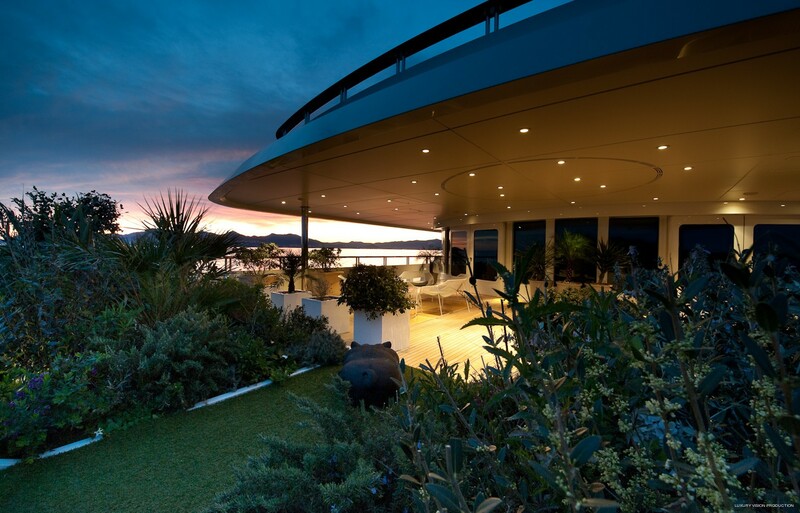 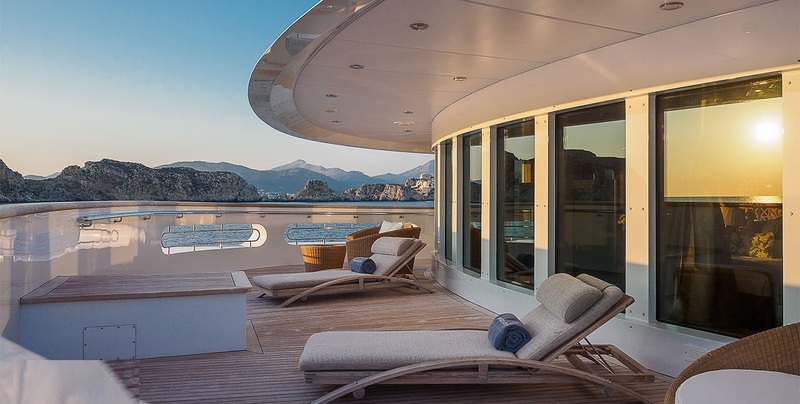 Her vast deck space leads into interiors with massive amounts of volume and every imaginable amenity, from cinema and theatre, to spa and beach club – even a doctor’s cabin and medical room. 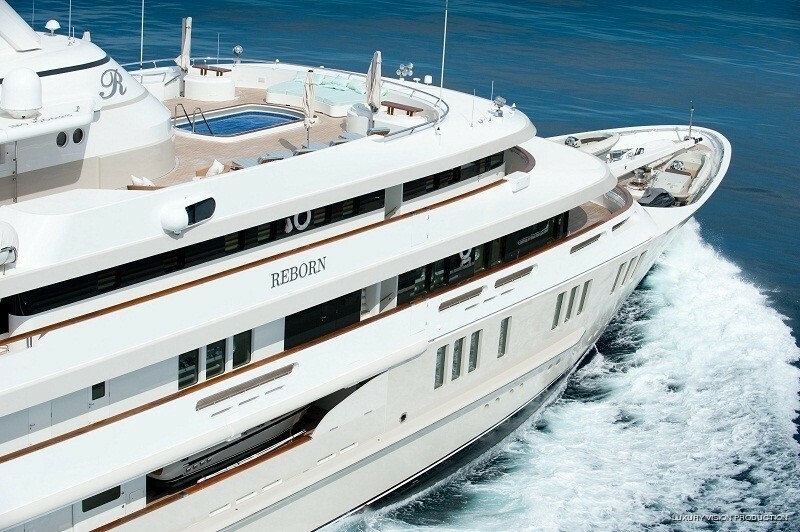 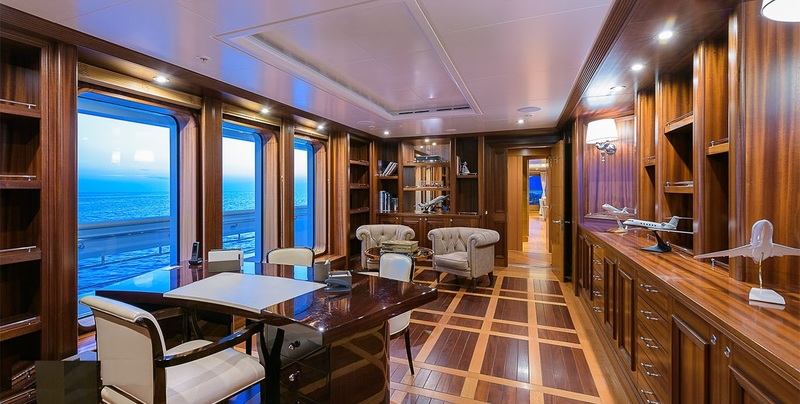 BOADICEA has a very impressive main saloon that can seat up to 16 guests, in both open spaces for just as the upper deck has been cut out to form a huge atrium and gallery. 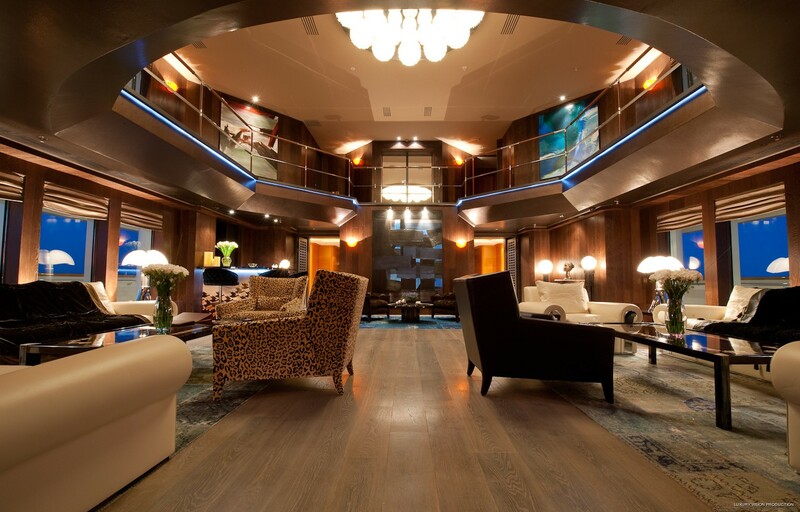 This area has a ceiling height of over five metres. 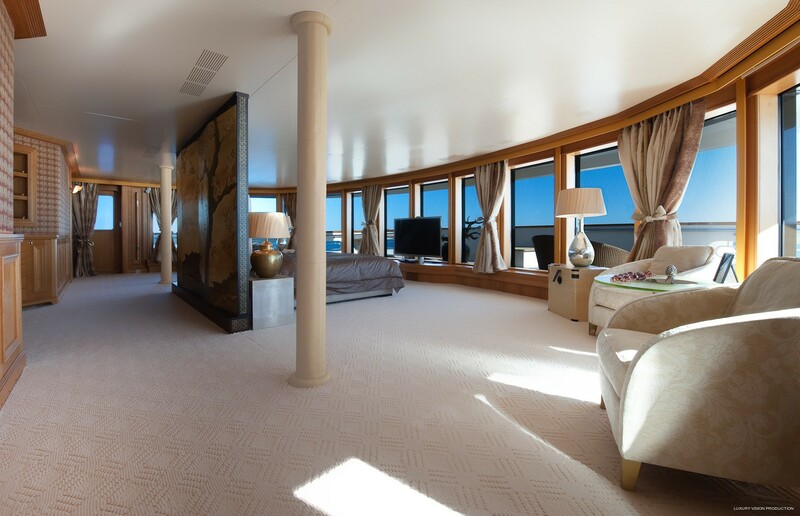 Emphasizing this huge space are floor-to-ceiling windows along the entire length. 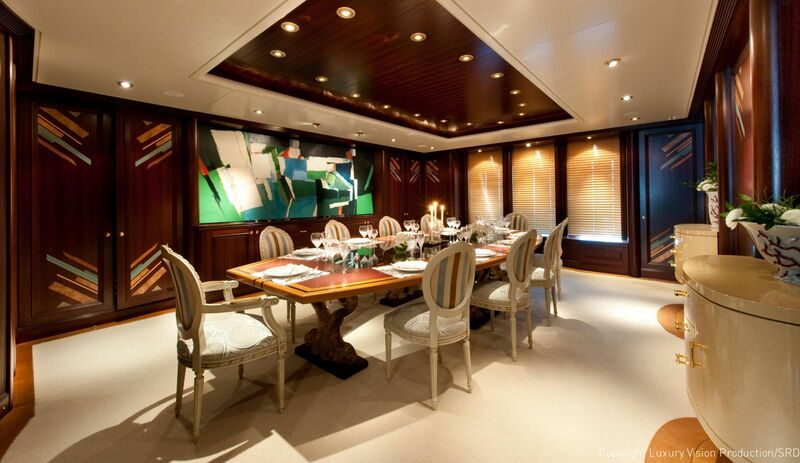 There are nine separate dining areas ranging from casual al fresco lounges to more formal spaces. 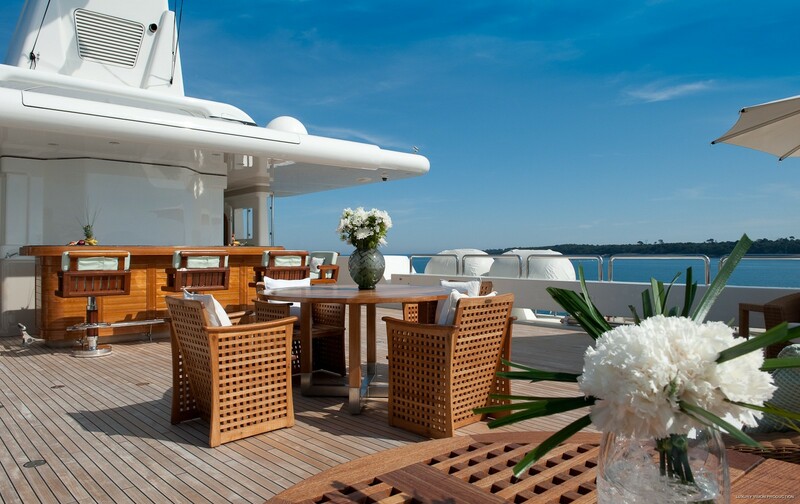 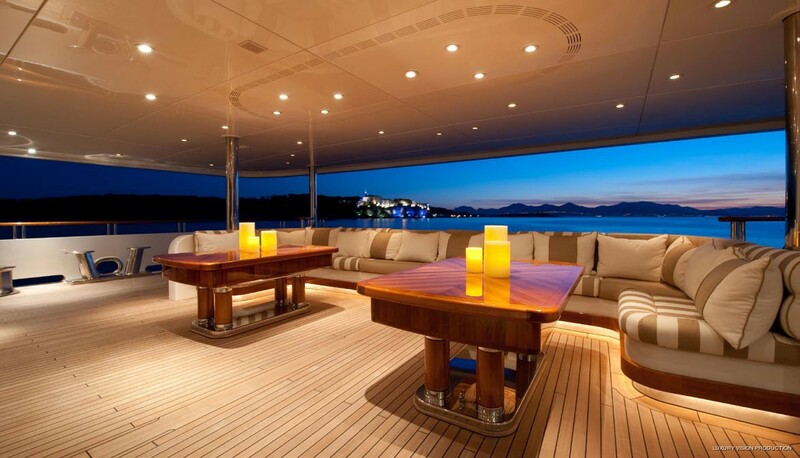 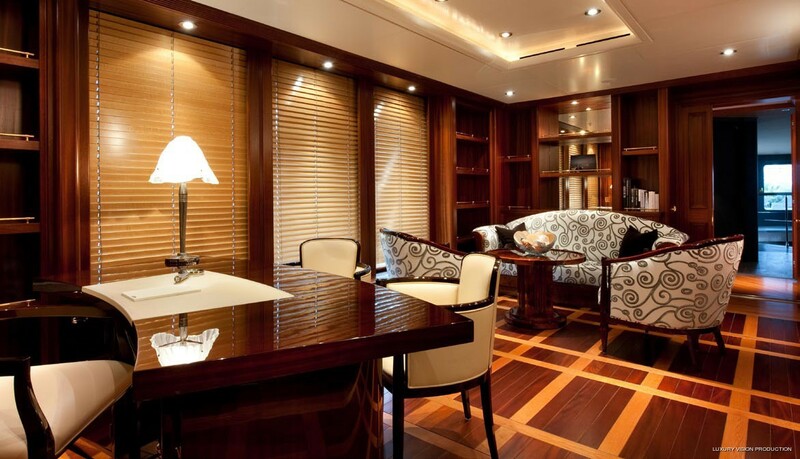 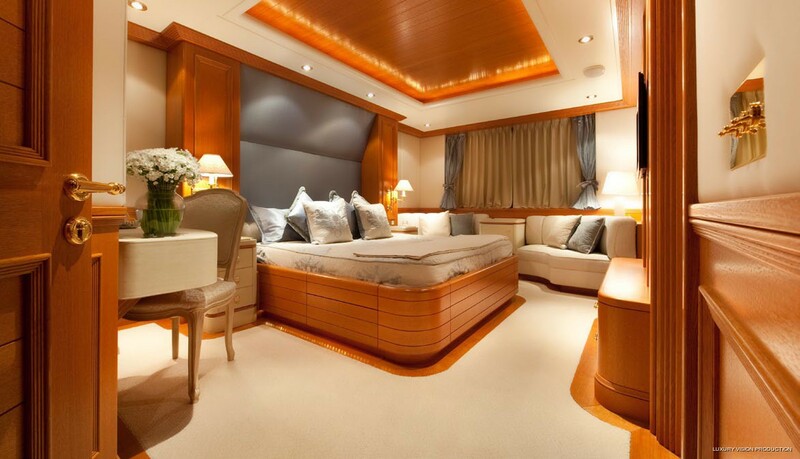 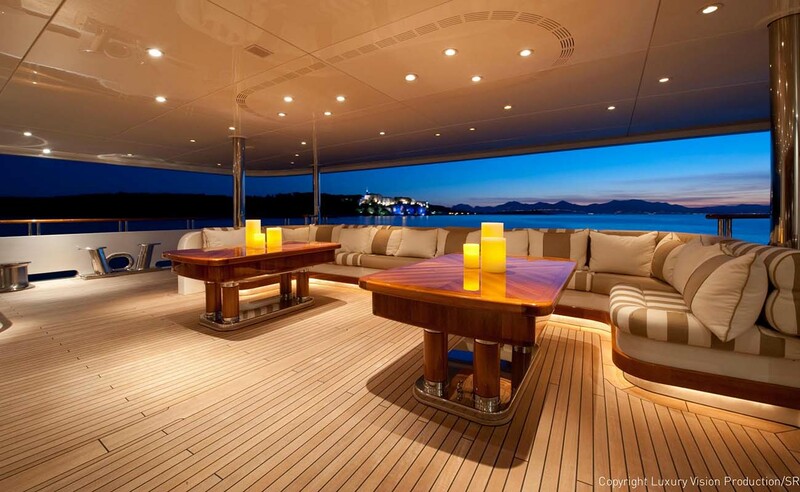 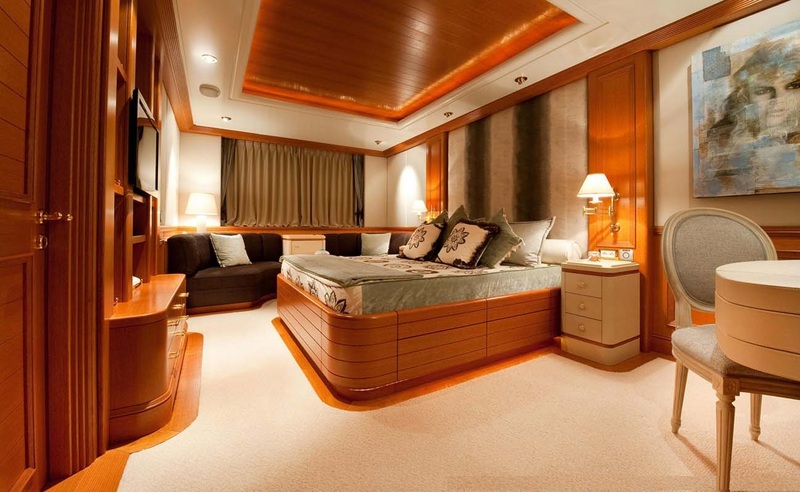 The décor throughout the yacht is contemporary and has accents from the Orient which creates a smart and eclectic style. 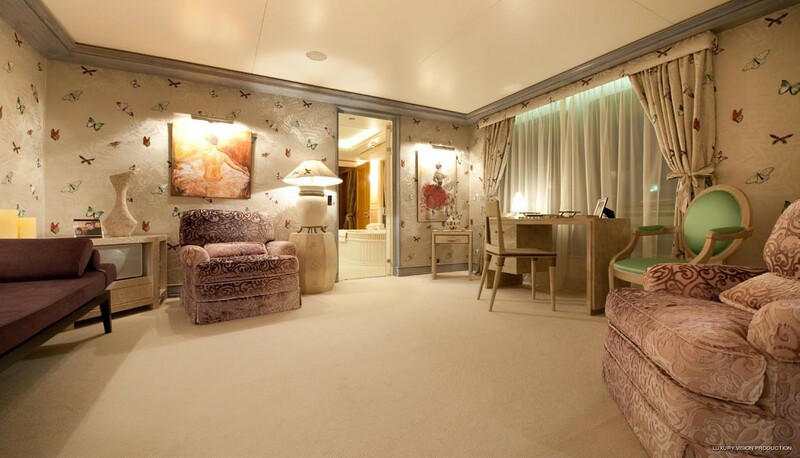 There is a choice of formal and informal areas that are highlighted by soft furnishings in beige and salmon-pink. 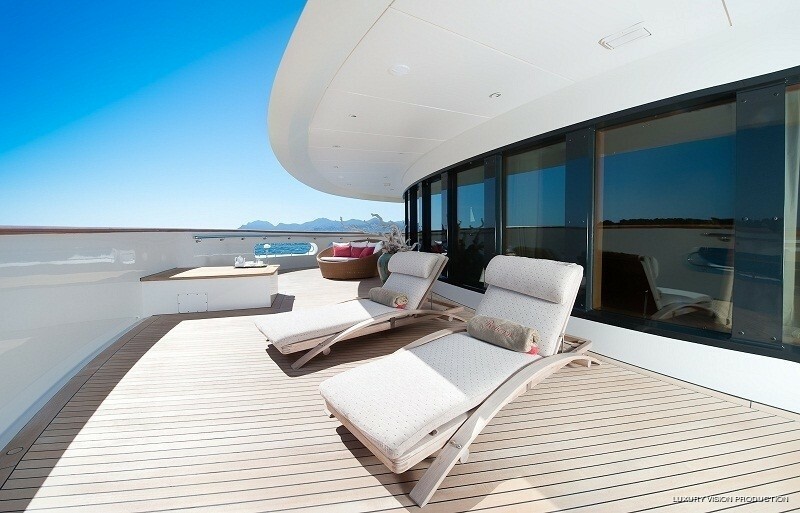 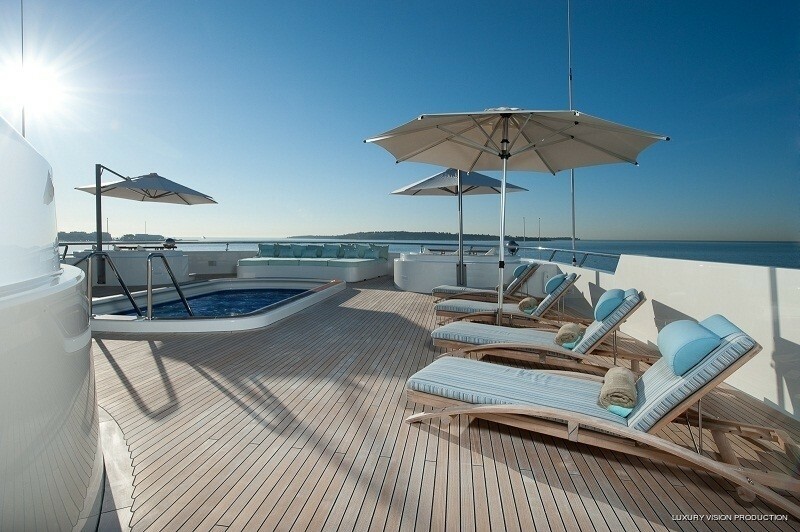 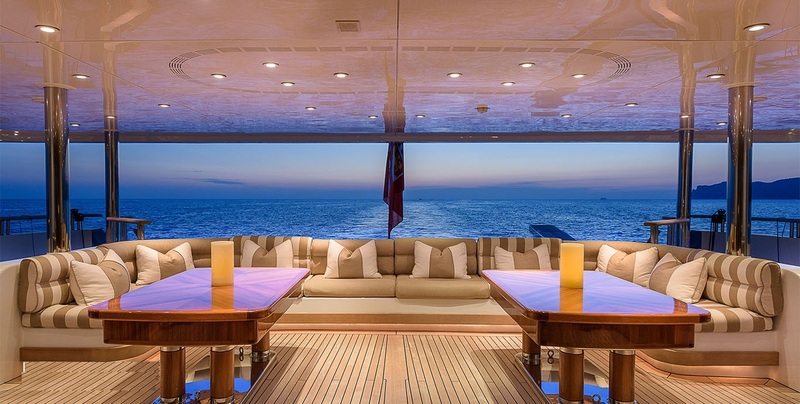 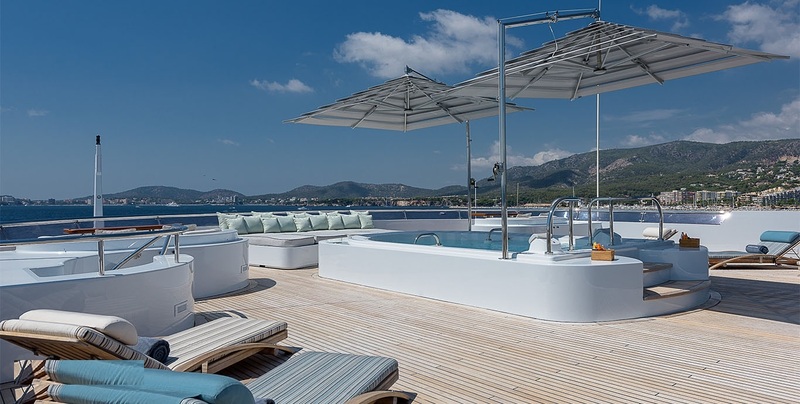 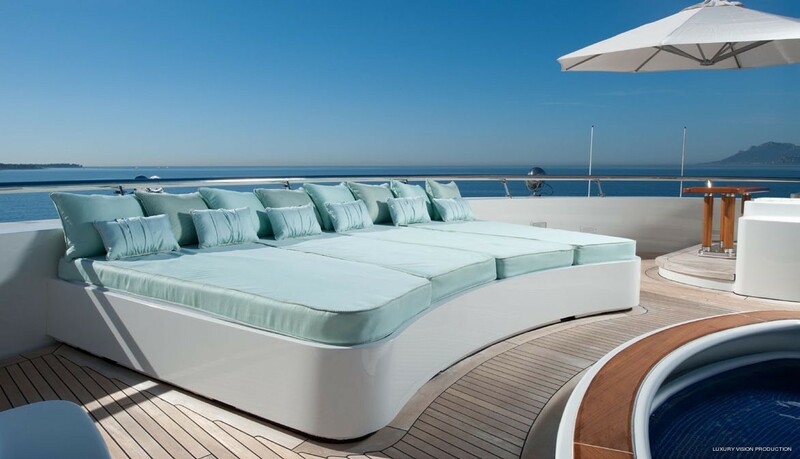 Many yachts are styled with a beach villa in mind – BOADICEA goes much further. One of the most surprising features is the fact that there are tropical and herb plants on the upper deck. 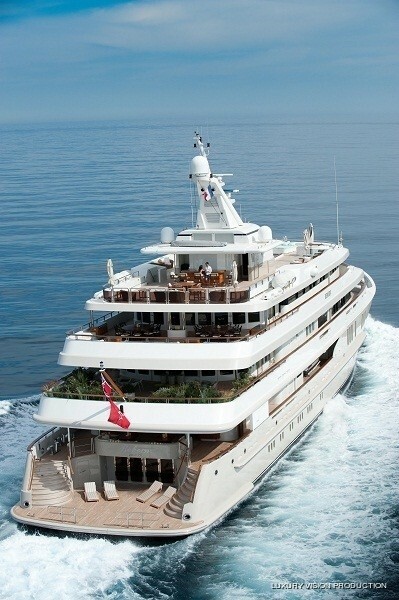 She can crusie at around 14 knots. 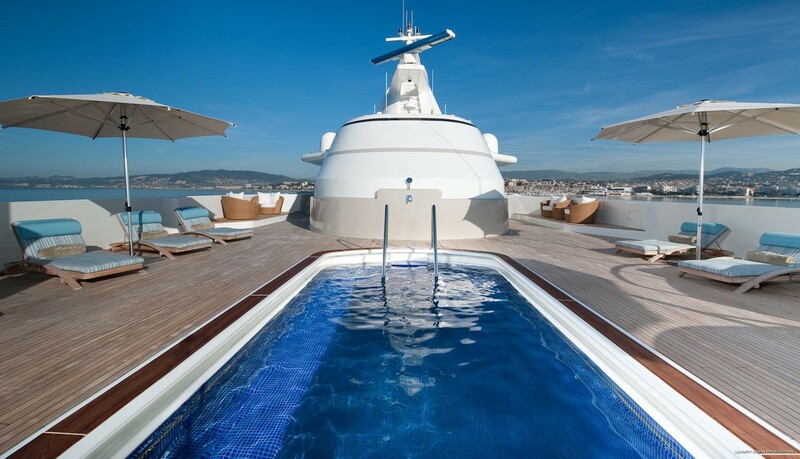 6m sunken swimming pool with resistance training system. 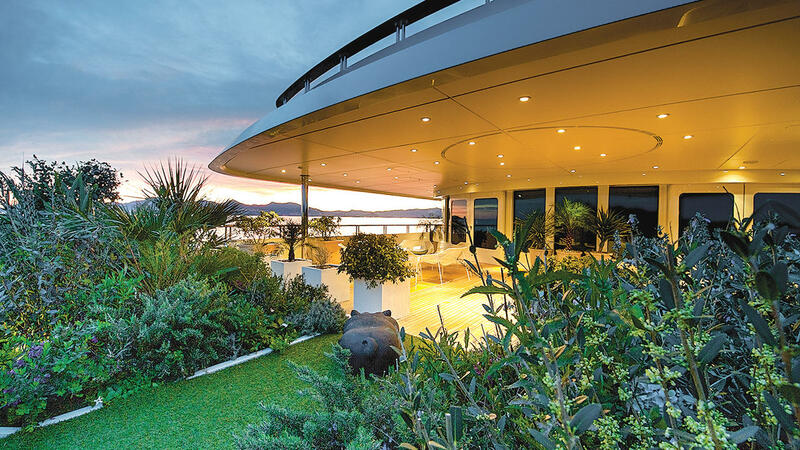 Forward sun-pads surrounding the pool. 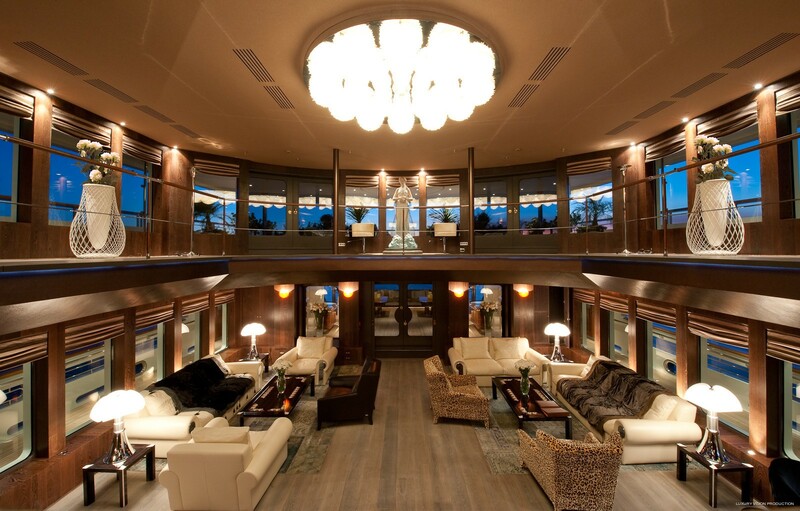 Large glass doors leading out from the mezzanine to the deck. 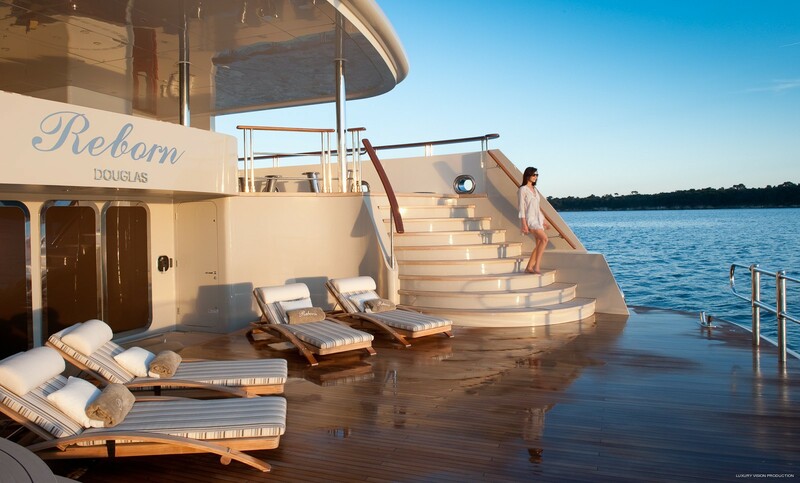 2 large staircases leading down to the swim platform. 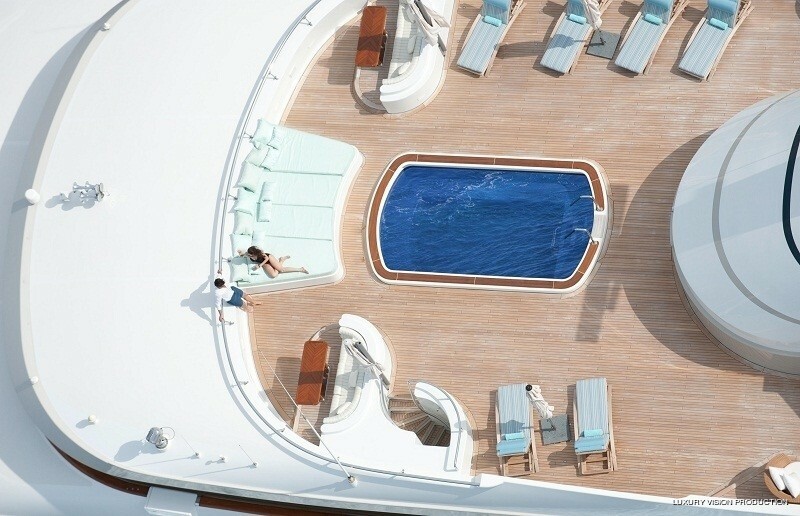 Vast swim platform with sun loungers and seating. 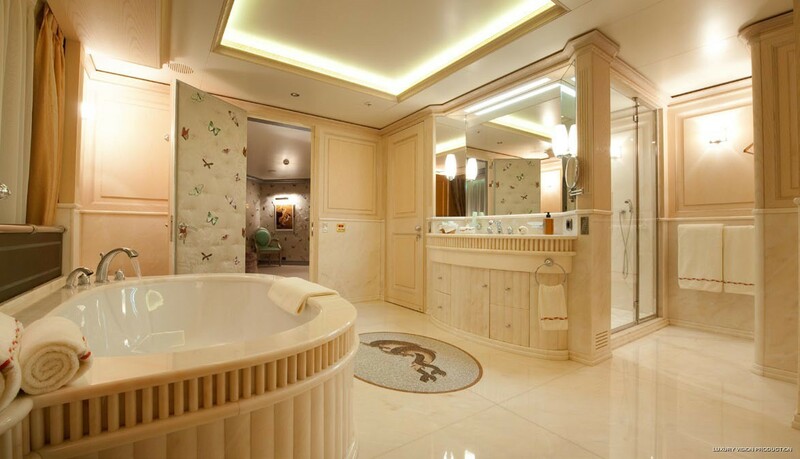 Access to the spa and guest accommodation. 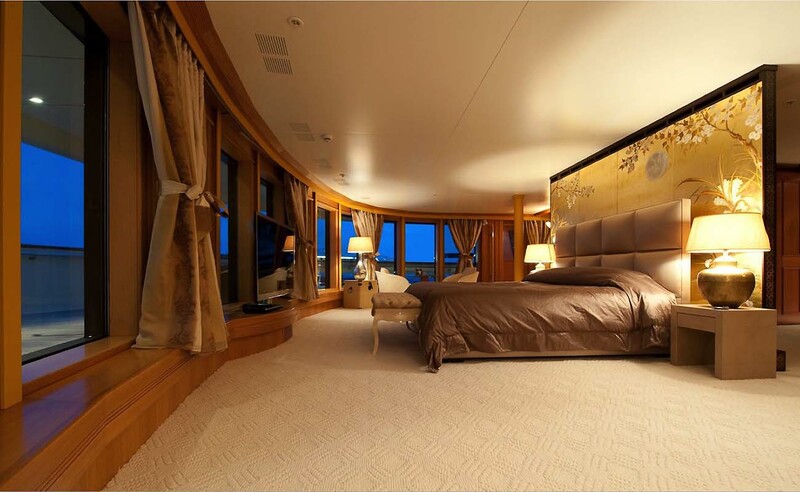 In BOADICEA's sumptuous and incredibly spacious full-beam master suite, a chinoiserie silk printed headboard frames a California king sized bed facing 180°, full-height windows and a full-beam private terrace for panoramic views. 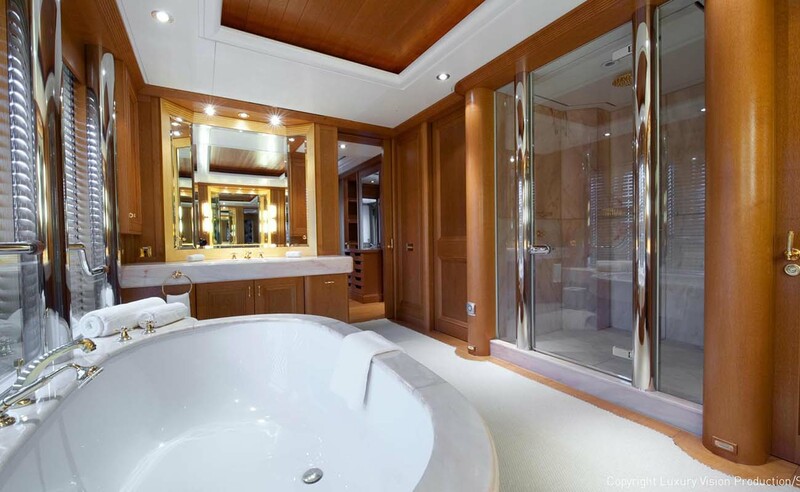 There are his and hers bathrooms with large shower and spa pool bath respectively, a ladies dressing boudoir, and an owners office. 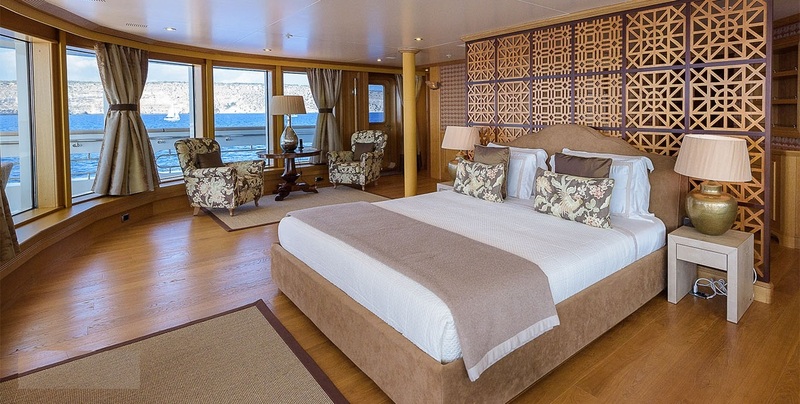 M/Y BOADICEA has additional cabins that include a double-depth lateral VIP suite on the main deck and six large lower deck suites, all with marble bathrooms, handmade Italian leather and raw silk. 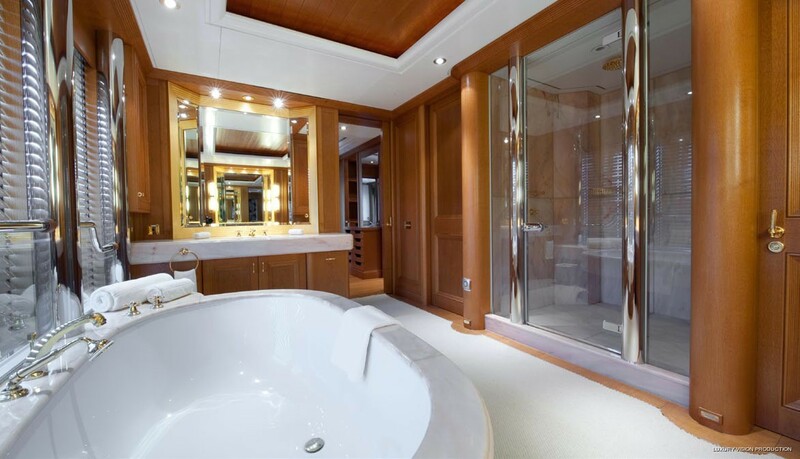 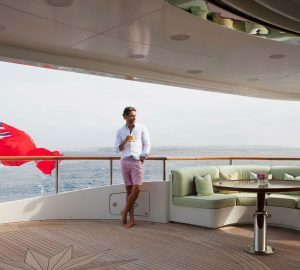 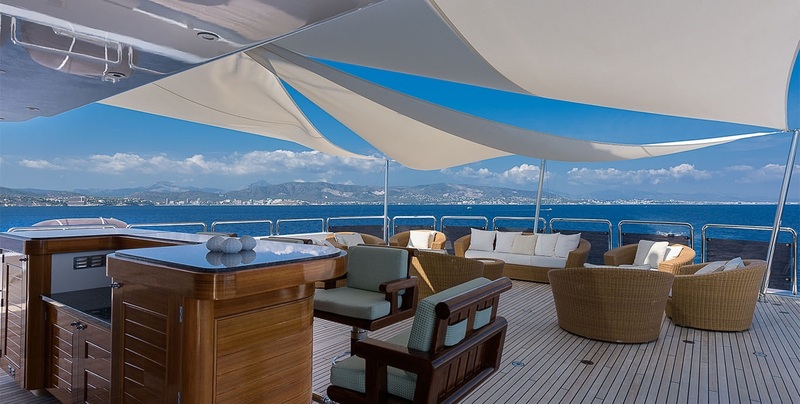 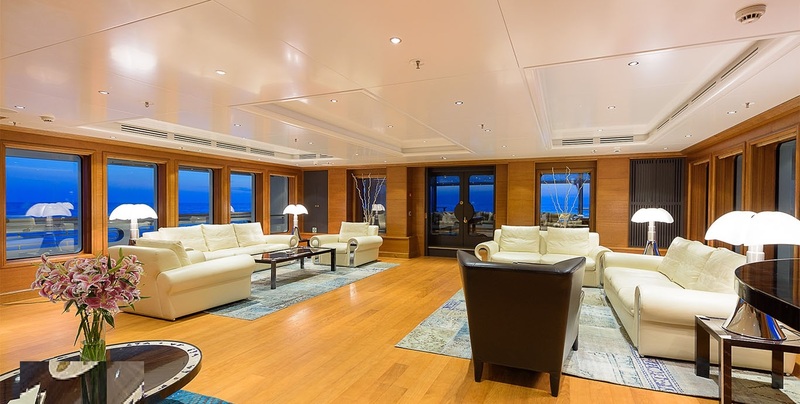 The VIP suite situated on the yacht's main deck boasts a generous sized cabin interconnecting to a vast dressing area with California closets through which the bathroom with shower and bath tub is accessed. 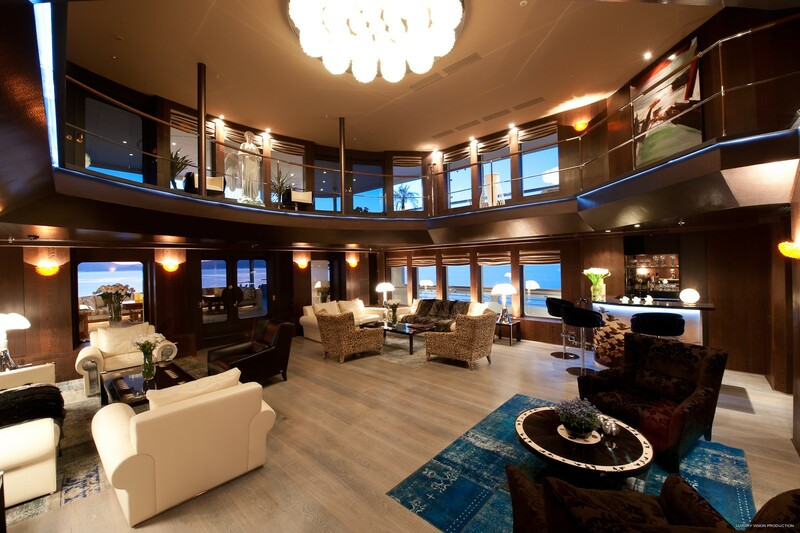 With very large windows throughout, the VIP suite is an extremely comfortable, light and bright area. 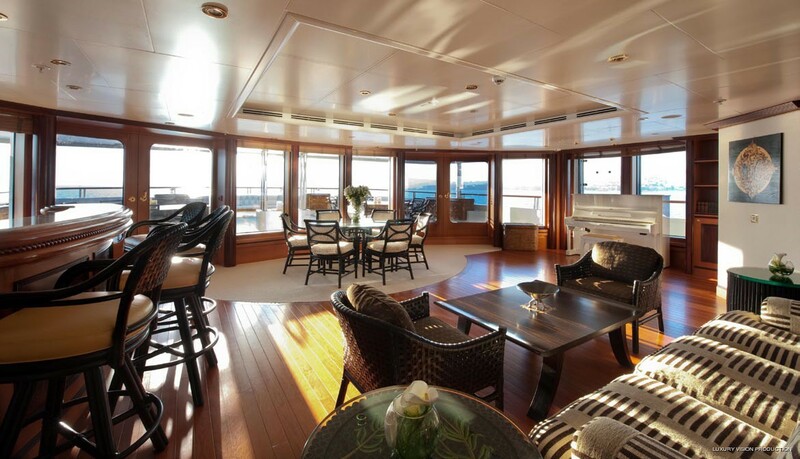 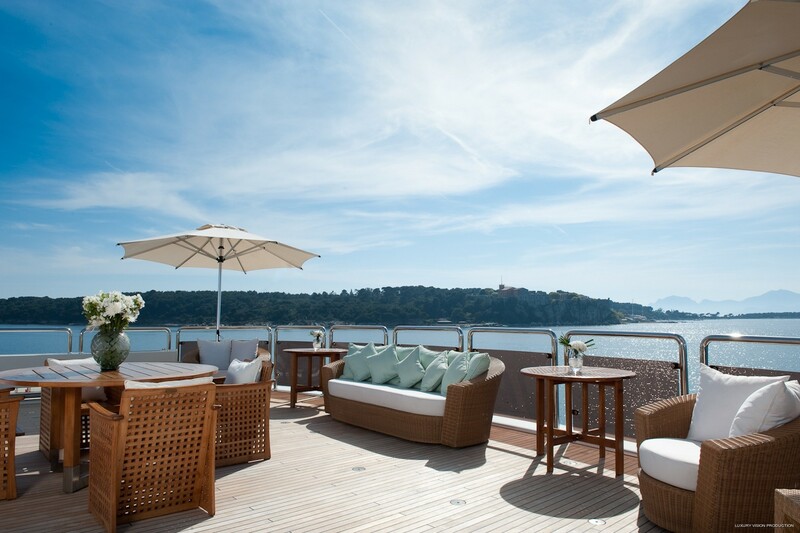 Located on the lower deck are five doubles and one twin cabin offering extremely versatile accommodation. 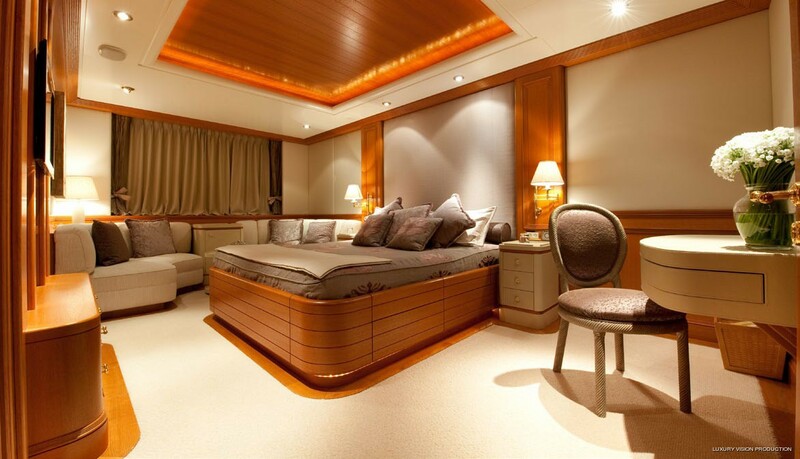 All cabins are ensuite and are decorated in warm neutral tones. 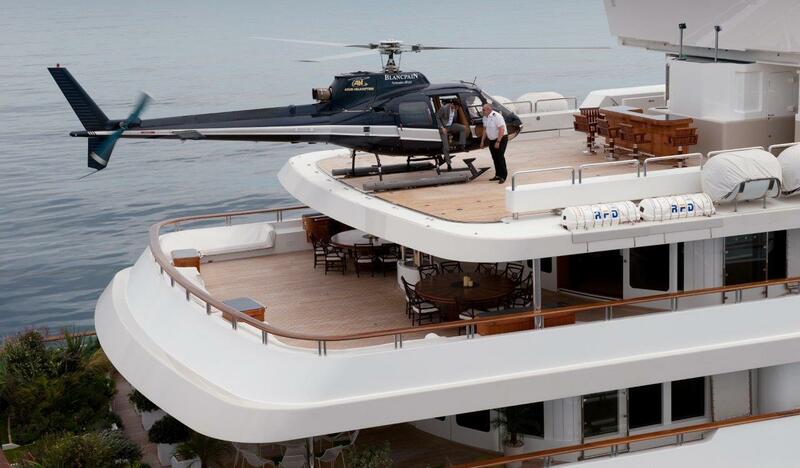 All decks can be accessed by the elevator. 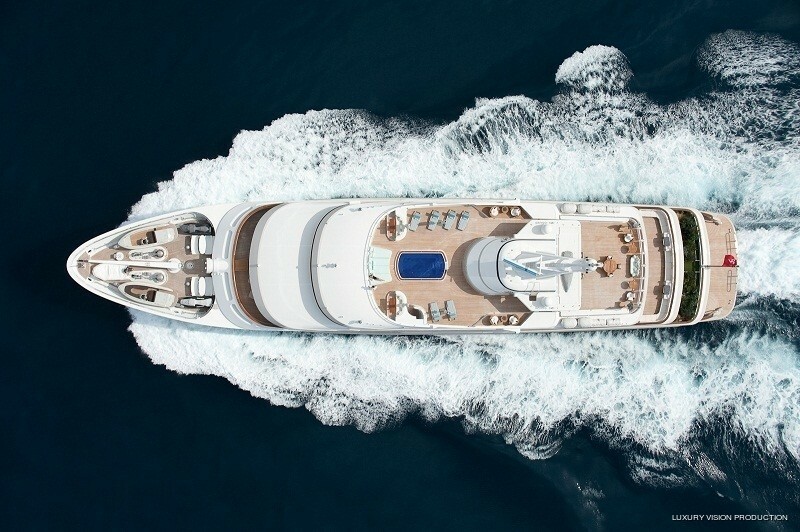 We do have available further amenity, owner and price information for the 76.00m (249' 4") yacht BOADICEA, so please enquire for more information.